Kemin Industries, a leading provider of shelf-life extension and food safety solutions that help manufacturers keep food and beverage products safe, recently introduced NaturFORT™ RSGT, a blend of rosemary, spearmint and green tea plant extracts. The new plant extract solution has been found to provide shelf-life extension in salad dressings and sauces and is a consumer-friendly alternative as manufacturers seek a replacement for previously used products such as Ethylenediaminetetraacetic acid (EDTA). When replacing EDTA, manufacturers had to sacrifice shelf life or make significant adjustments to their supply chain to store and distribute these products in refrigeration. This new additive/chelating agent may provide food processors, manufacturers and formulators the ability to increase shelf life, reduce costs, and provide the visual appeal and flavour protection consumers demand. Hawkins Watts are the NZ agents for Kemin products. Dietary supplements and natural extracts are big business in NZ being around $1.5Bn in total. Traditional Maori medicines may have a place in this product segment. Some of the extracts will be lipid-like. 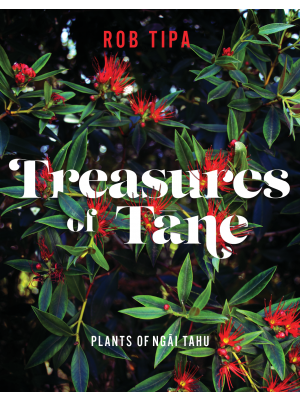 This book discusses traditional Māori uses of native plants of the South Island of New Zealand and traditions around them. The text describes the features and uses of each plant, listed alphabetically for quick reference. These stories of native plants of the South Island describe how Māori and Europeans grew and processed the plants, and it uncovers some surprising uses of native plants. Written by a journalist, the book is engaging, enlightening and user-friendly and is to browse and informative about native plants. One of the extracts from titoki was used as an anointing oil and cure-all. This reviewer analysed titoki oil extracted from the berries, many years ago and found the presence of cyanolipids. 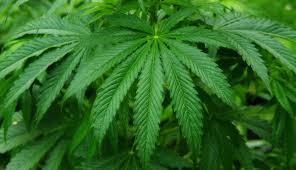 Hemp oil, despite entrenched US opposition has been slowly growing in popularity. Two NZ growers recently featured on Country Calendar showing their small-scale expeller. Currently the legislators in USA and Australia are being a little too picky about trace levels of THC in the oil (<10ppm). Refiners are looking for ways to reduce this down to zero. Described by Nutraingredients as being a diet that leads to the production of “keytones”, they reported on a new study on the ketogenic diet fad. This involves high fat intake particularly based on lauric fats. Despite being one of the pressing healthcare challenges of our time, the aetiology of type 2 diabetes (T2D) is still incompletely understood. Although the proximate cause of T2D is the failure of the pancreatic islet to increase or maintain insulin production, the ultimate cause has not yet been conclusively identified. Overall, there is a link between an unhealthy Western diet and a lack of physical activity, and the development of T2D in terms of the progression of the disease, T2D manifests as a slow and worsening decrease of insulin sensitivity affecting multiple organs, during which time blood glucose levels are maintained within normal levels, whereas insulin levels rise to compensate, followed by the eventual failure of the pancreatic islet. Several groups report impairment of systemic glucose tolerance, as well as insulin signalling, in the brain or liver after only a very few days of feeding an obesogenic high-fat diet (HFD) to rodents, with the diet typically consisting of 60% of calories from fat and 20% each from protein and carbohydrate. MCT oil and lauric fats have been recommended for this type of diet. MCT oil is proving to be a modern success story in nutraceuticals. The major applications include the product being used to improve the metabolism, provide energy and burn fat. As health supplements MCT oil can be used to improve digestion and lose weight. 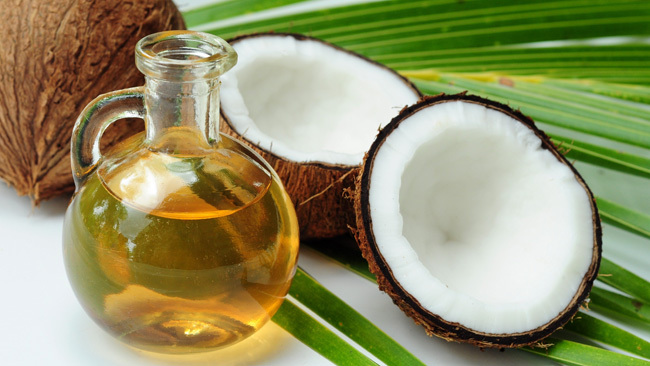 This refers to genuine MCT oil consisting of C8 and C10 triglycerides not coconut oil. The global MCT oil market is highly competitive owing to the existence of a mix of large and small market players including BASF, Wilmar International Limited, KLK Oleo, Nutricia, Barlean’s and others. Total trade is estimated at around 250,000 tonne. Although the demand for MCT oil has grown steadily in the past few years, the supply hasn’t quite kept up. This is because the palm and coconut trees that MCT oil is sourced from take a while to grow, and there simply aren’t enough fully-grown trees now. Had somebody had the foresight to predict the explosion in MCT oil manufacturing 30 years ago, this wouldn’t be a problem, but there was a sudden, unpredictable rise in demand. Many of the main suppliers of palm and coconut kernels are being wiped out because of the huge demand for coconut oil and MCT oil. Because of this, the price of manufacturing MCT oil has risen and with it, the price the consumer pays for MCT oil supplements and foods with coconut oil or MCTs. Since the demand for MCT oil has steadily risen over the past few years and the supply has gone down significantly—and won’t be fully replenished anytime soon—the price of MCT oil is likely to remain where it’s at or rise in the near future. Most people believe this Cochrane report is biased because it ignores a large body of evidence showing favourable effects of EPA and DHA on cardiovascular risk. In our opinion, the review authors’ conclusions go far beyond the data that they review. The Cochrane meta-analysis is just a rehash of old data and certainly does not provide the final answer on the omega-3 question. Typically, the people in these studies were older, already had some chronic cardiometabolic disease, and were taking several other medications. What’s more, low doses of omega-3s were typically given, and the studies typically ran for only two to three years on average. To have some efficacy the dose of LC omega-3 needs to be > 1 g per day. The more appropriate question is nutritional, not pharmaceutical: “Do higher intakes of EPA and DHA in the diet over decades reduce risk for disease?” These studies cannot answer that question, and therefore their conclusion that “omega-3s don’t improve heart health” is far too broad. There is strong evidence that the omega-3 index correlates well with the risk of cardiovascular disease. Coconut oil is poisonous, so claims Karin Michels, PhD, a part-time professor at Harvard TH Chan School of Public Health. Her comments given in a talk at the University of Freiburg, Germany, sparked a media frenzy with headlines such as, “Coconut Oil is Pure Poison Harvard Professor Claims” appearing in newspapers and on the internet. What makes Dr. Michels an authority on coconut oil? She is not a physician, or a nutritionist, or even a biologist. Her PhD is in biostatistics. Her specialty is statistics—manipulating numbers—not the study of diet or fats and oils, Moreover, as her talk was in German, are we sure the daft media understood it OK? No food oil is toxic. The controversy reached the attention of the NZ Herald who published the comments of several food scientists. In anticipation of potential regulation, Bunge Loders Croklaan is cutting down the 3-monochloropropanediol level in its palm oil products. The company noted that the levels are in line with a discussion paper drawn up by a European commission in 2016 that outlined the potential risk of 3-MCPD to the kidneys and male reproductive system. The latest edition of Inform magazine has a good article on the efficacy of antioxidants in frying oils. The addition of antioxidants helps prolong the frying life. However, there is a global distrust of synthetic but effective antioxidants like TBHQ. There is consequently growing interest in natural antioxidants particularly rosemary blended formulations.